Perennial Harvest Gardening Club is committee-based and not-for-profit. You can view our constitution here Perenial Harvest Constitution (1)-1 . 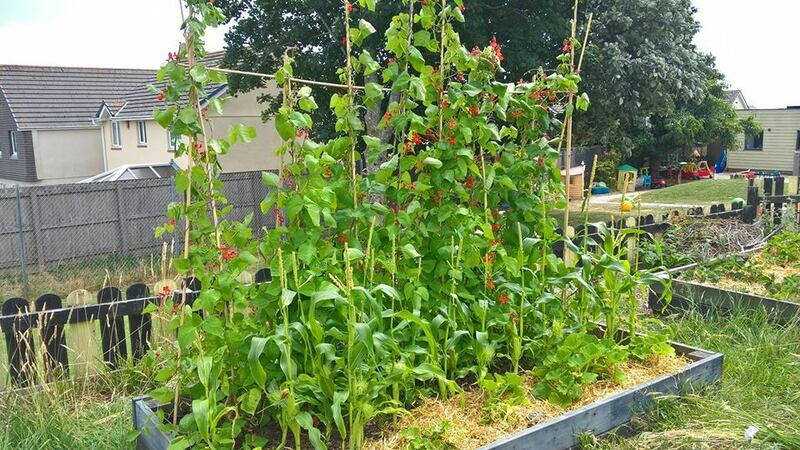 Our aims are primarily to assist others within our local community to grow vegetables and fruit successfully. Our current project is based at SandyHill Academy assisting & training the teaching staff and 350 pupils to make the most out of their garden. 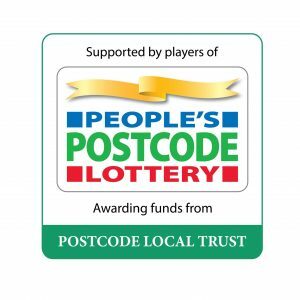 This work is supported by a grant from the Peoples Postcode Lottery. It is a year-long project. When this project comes to an end we intend to further our work working with other community groups and organisations, it is in our constitution. 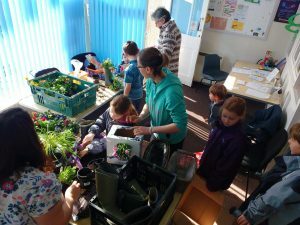 Our work at the school in St Austell, aims to help the children there to gain a really thorough understanding of how to grow vegetables and fruit successfully by getting the soil management right and optimising plant health. 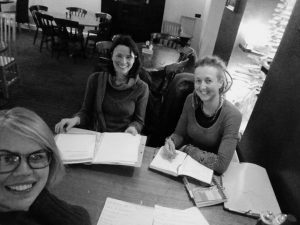 Our committee members are Tamasin Pemberton- Chairperson, Karen Lodge -Secretary and Steph Attwood – Treasurer. To date our work has been greatly supported by the Cornwall Garden Society, Little Winnick Touring Park, Rob Oliver, Boskell Riding Stables and Volunteer Cornwall. The work we have achieved to date would not have been possible without the contributions of our founder club members, their families and their membership contributions. Each year we work alongside the Cornwall Garden Society to co-ordinate the Children’s Competitive Section of the Cornwall Garden Society Spring Flower Show. This year’s Cornwall Garden Society (CGS) Spring Flower Show at The Royal Cornwall Showground in Wadebridge on Saturday 6th and Sunday 7th April is all about fun, flowers and family so if you are in Key Stage 1 or 2 at school and fancy flexing your green fingers, then why not get growing and enter one of the junior competitive classes? To help you on your way, the CGS is working in partnership with St Austell-based social enterprise, Perennial Harvest to offer hands-on horticultural workshops in the run up to the Show to help children of all ages create their entries and try their hand at winning a prize. The second pre-Show session will be held at Wheal Martyn Clay Works in St Austell on Saturday 30th March, and this one is a free, drop-in workshop between 10.30am and 1.30pm. Children can enter more than one category in the junior competitive classes and so are welcome to attend both of these pre-Show events. There are also two classes in the Daffodil section for the under 16s to compete in as well as special junior classes for photographers up to the age of 18 with themes as diverse as A Bug’s Life and Garden Tools. The Schedule of Competitive Classes is available as a download from the Cornwall Garden Society’s website or by calling Show Secretary, Claire Waldie on 07538 157089. A list of winners of awards and prizes will be posted outside the Show Office by 12 noon on Saturday 6th April. All awards and prizes will be presented at 3pm on Sunday 7th April, and all winners are requested to attend. For advance bookings for the Cornwall Garden Society’s 2019 Spring Flower Show, telephone the Cornish Riviera Box Office on 01726 879500, or visit crbo.co.uk/springshow. General tickets cost £10 in advance or £11 on the gate. CGS member tickets cost £8 in advance or £9 on the gate. Under 16s are free with ticket-holding adults. The ticket price includes free parking. Well-behaved dogs on leads are welcome, as are credit card payments on the gate. The CGS is a charity that exists to encourage and improve the science, art and practice of horticulture in all its branches; share knowledge about gardening and Cornwall’s rich garden heritage, and conserve the county’s natural environment. The Society is affiliated to The Royal Horticultural Society and its Patron is HRH The Prince of Wales. You can follow our group Perennial Harvest Gardening club on Facebook for our latest updates. For rewarding and enjoyable volunteering roles within our organisation do contact us by clicking on the Volunteer Cornwall logo below.